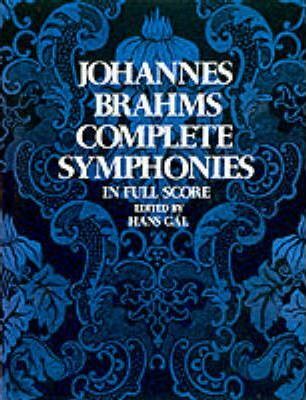 This volume reproduces, complete and unabridged, the scores of all four symphonies of Johannes Brahms, from the Vienna Gesellschaft der Musikfreunde Edition edited by Hans Gal. German-born composer Johannes Brahms (1833-97), an important figure of the Romantic era, spent most of his career at the forefront of the Viennese musical scene. A master of counterpoint, he wrote for piano, chamber ensembles, symphony orchestras, and voice.